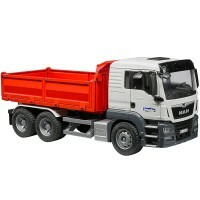 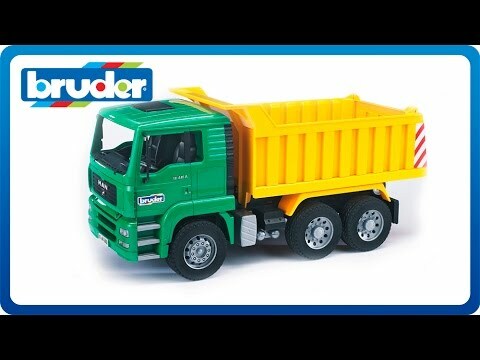 This unbelievably realistic model toy truck by Bruder is great for construction play indoors and out! 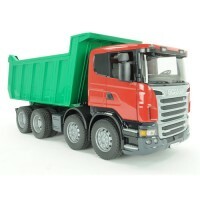 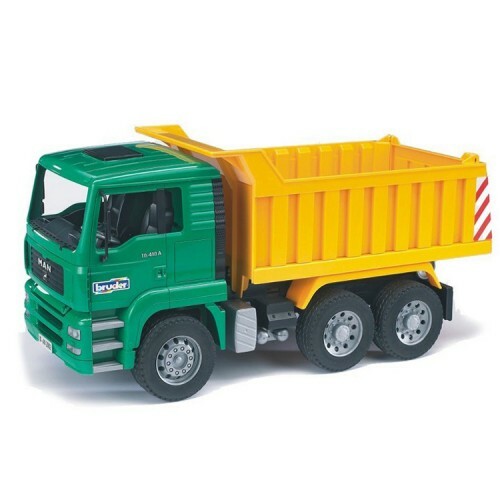 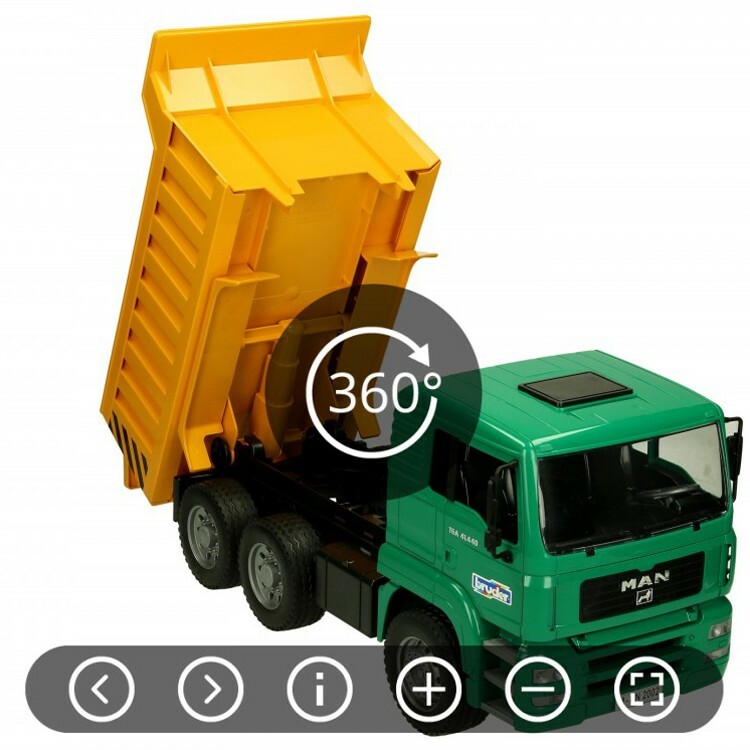 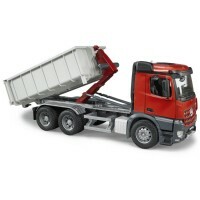 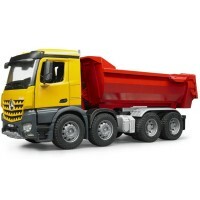 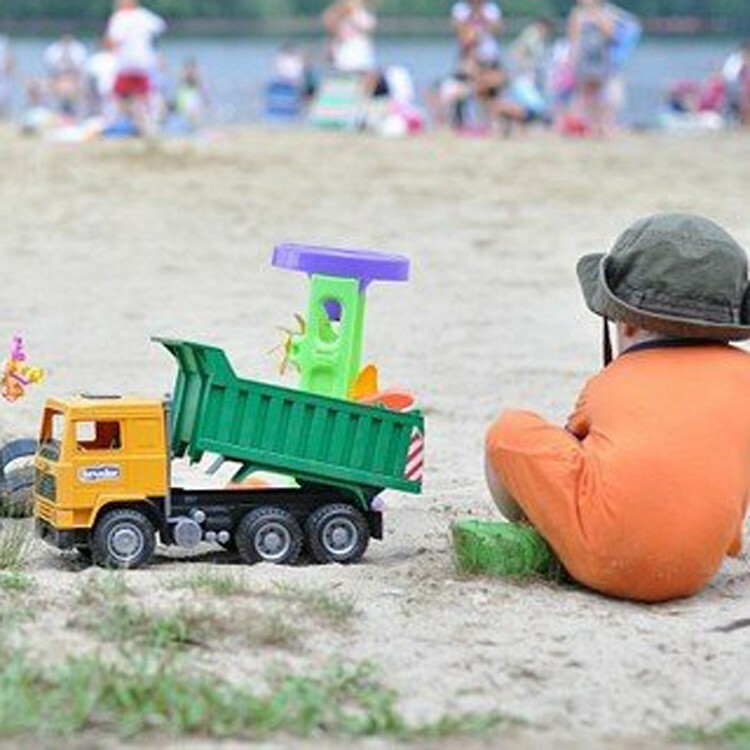 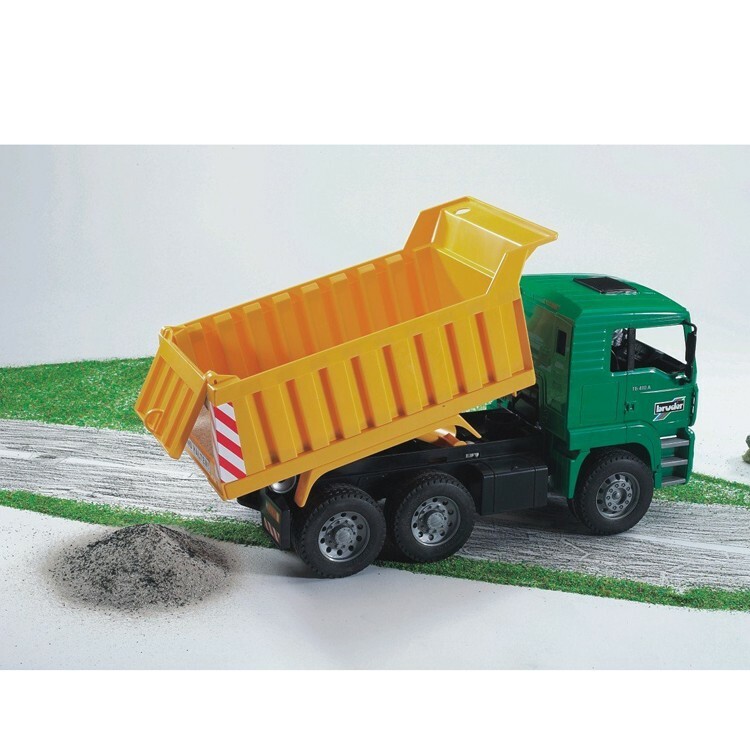 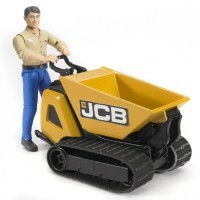 Have a LOAD of pretend play fun with the Bruder Toy MAN Dump Truck. 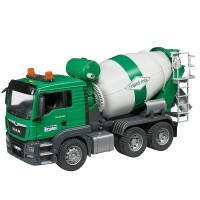 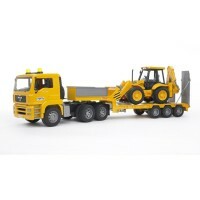 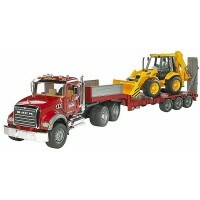 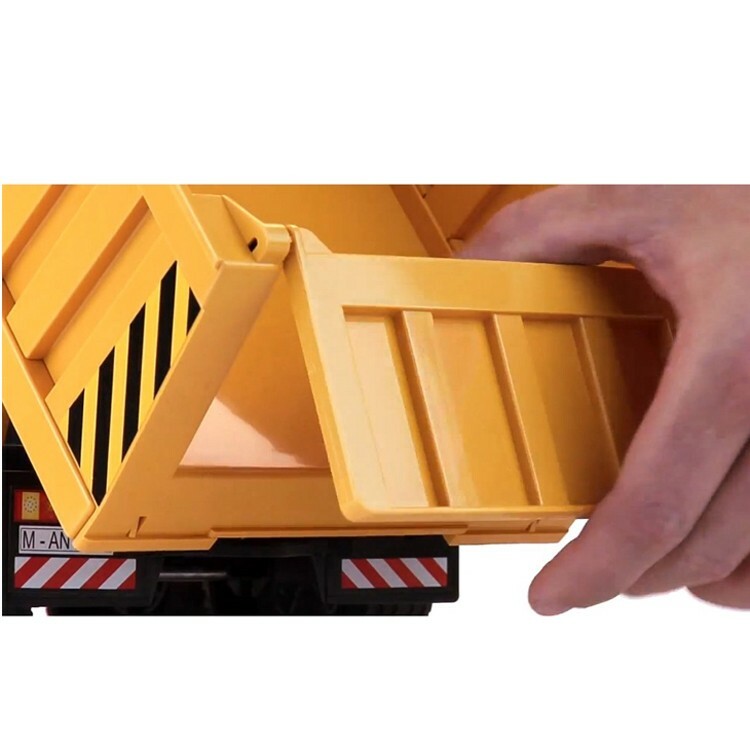 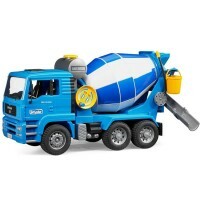 This unbelievably realistic model toy truck is great for construction fun indoors and out! 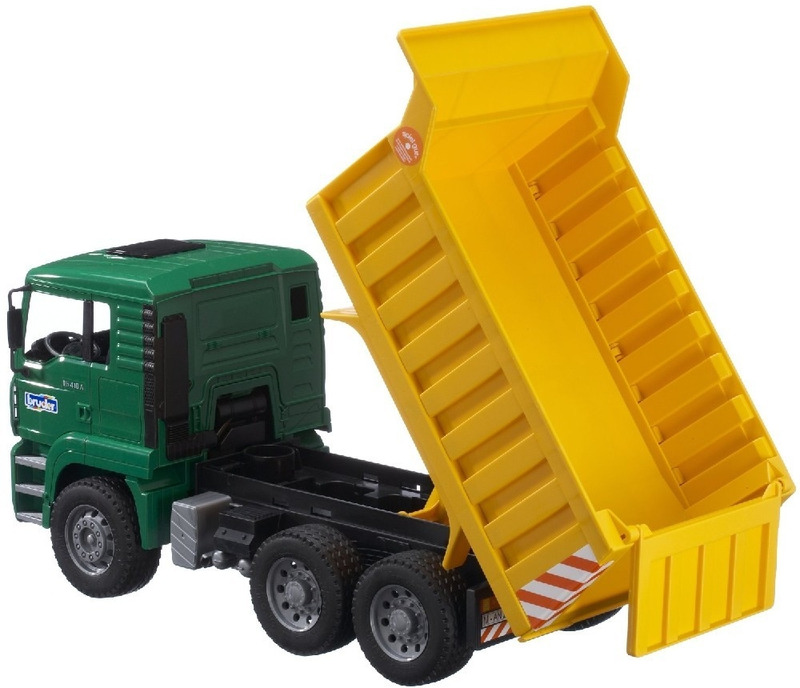 Young builders can tilt the cab forward to see a detailed replica of the real truck engine, or tilt it back and have fun pretend driving it around! 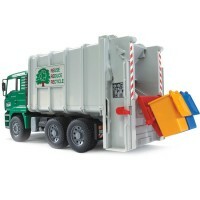 This in incredibly intricate model is built with real tires, moving mirrors, a back gate so kids can dump their materials out, and is painted in the exact way the real MAN truck is painted. The Bruder Toy MAN Dump Truck from Educational Toys Planet is a great addition to the Bruder line of model toys that already includes trucks, fire engines, and garbage cars. 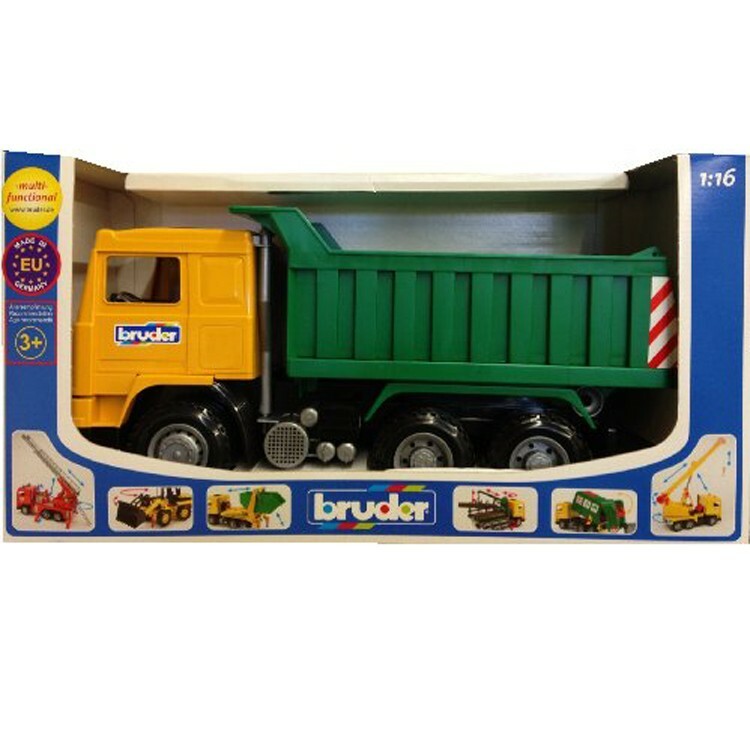 For even more learning fun, collect all the Bruder imagination toys! 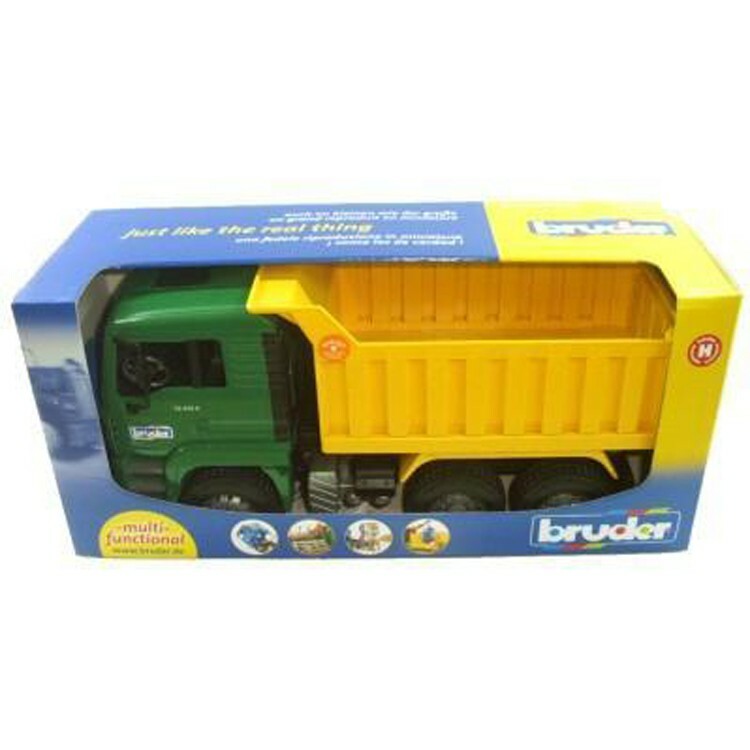 Dimensions of package 6.89" x 8.66" x 17.72"
Write your own review of Bruder Toy MAN Dump Truck.